I’ve been working on these cookies for what seems like the better part of a year and friends, we did it. My mission: crafting a vegan and gluten-free chocolate chip cookie that is so knock-your-socks off delicious, you don’t even care that it’s free from dairy, eggs and wheat. That’s what it’s all about isn’t it? 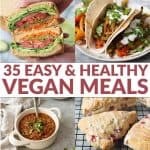 I dislike the phrase, “good for being…” I don’t want my baked goods to be “good for being gluten-free” or “good for being vegan,” I just want them to be good. No apologizes, no back-story needed. 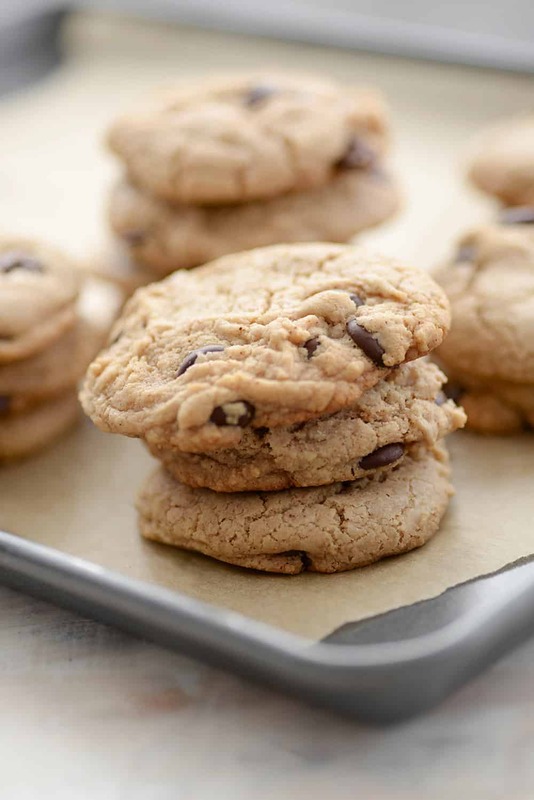 Just a warm, chewy in the center, chocolate chip cookie that makes you want another one as soon as you’ve taken that first bite. No less than a dozen tests later and I’m confident that you are going to love these cookies are much as we do. I know, I know. Tough job, huh? Making batch after batch of chocolate chip cookies on the quest to vegan and gluten-free chocolate chip cookie perfection. I’m pretty sure cookies are like pizza; some aren’t that great, but all are good. Even the crumbly ones got put to good use. Ready for the secret? Almond butter. To get that delicious, soft-baked toffee flavor that chocolate chip cookies have we are using almond butter instead of actual butter. Once cooked, the almond butter tastes like browned butter, it’s pure magic. I know Valentine’s Day was a few days ago, but I think you should make a batch of these this weekend. For you and for whomever you love. I’m using Hodgson Mill’s Gluten Free baking mix as the base for these cookies. While I’m not myself gluten-free, I love the challenge of creating gluten-free meals for those who are. I think it’s the same feeling I get from crafting vegan recipes. While I still eat cheese and eggs on occasion, there’s the unique challenge in making something that’s ‘free-from’ while still being awesome. Bob’s Red Mill also has a fantastic gluten-free blend. You’ll also need a bit of xanthan gum to help the cookies stay moist and fresh longer. You can usually find xanthan gum in the baking aisle, near the yeast and flour. While you can make your own gluten-free blends, I prefer to rely on a pre-mixed blends. 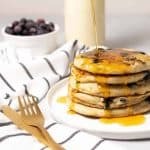 Especially if you are new to gluten-free baking, use a trusted blend to make sure you are choosing a flour that mimics wheat as close as possible. Most gluten-free baked goods can taste gummy, which likely means the wrong ratio of flours was used. Using a pre-mixed product eliminates this possibility. You’ll need to increase leavening agents (like baking soda/baking powder) to help give the gluten-free treats rise. These cookies use 1 1/2 teaspoons of baking powder. Gluten is the part of wheat that gives it its “stickiness”. So when you bake gluten free, you are going to have a “less sticky” final result. To remedy that, you’ll need to add some type of binder to your mix. I use xanthan gum here, but agar-agar or guar gum will also work. For cakes, muffins, quick breads and cookies, add 1/2 teaspoon xanthan gum or agar-agar per cup of gluten-free flour used. 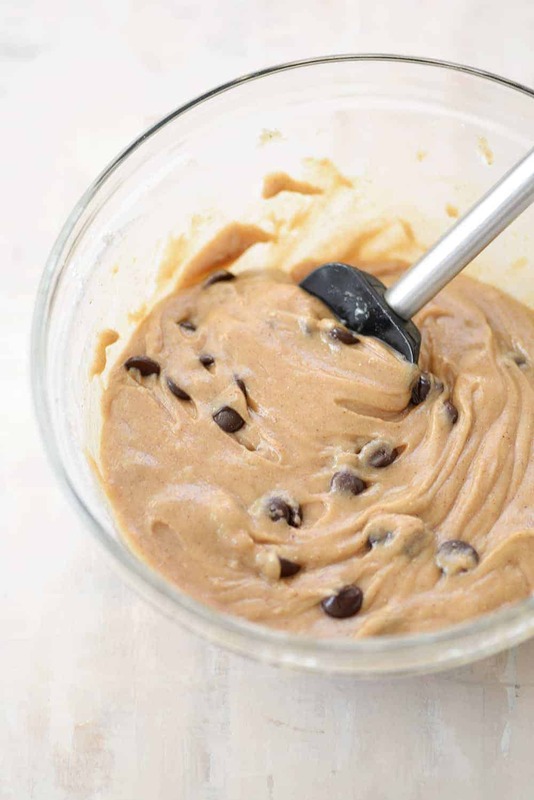 Gluten-free batter and dough can be gummier, so make sure to scrape the sides of your bowl down as you mix and blend. Properly butter or line pans with parchment to ensure your foods do not stick to the baking pans. 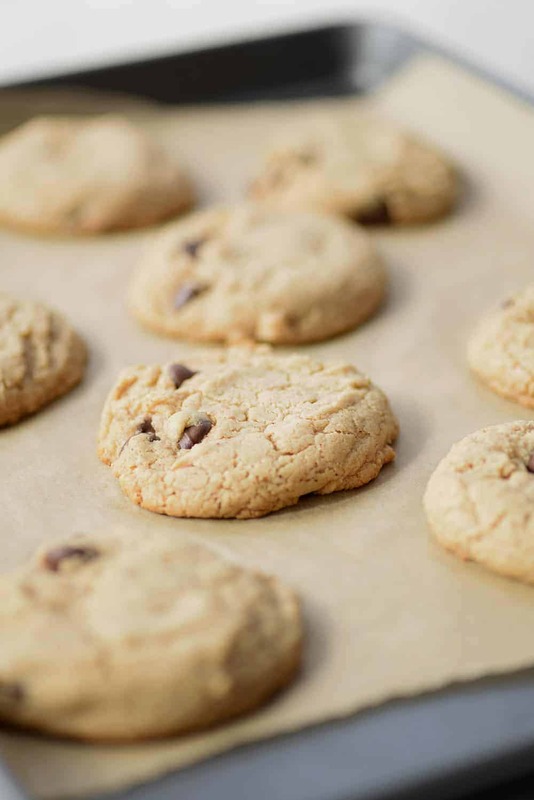 Cookies work best on a parchment-lined baking sheet. See how to make these cookies below! 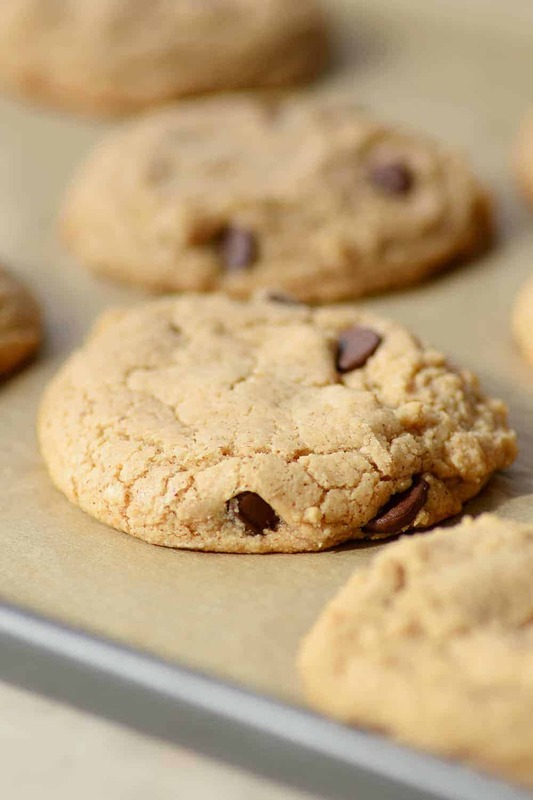 The BEST vegan and gluten-free chocolate chip cookies! OMG! You’ve GOT to try these- no one will know these are gluten-free or vegan. Chewy and packed with chocolate. Whisk together the flour, xanthan gum, baking powder, baking soda and salt in a bowl. In a separate bowl, whisk together the sugar, melted and cooled coconut oil, water, almond butter and vanilla until just combined and smooth. Add the flour mixture to the almond butter mixture and stir together using a wooden spoon or spatula. Fold in the chocolate chips. Cover the bowl with plastic wrap or a kitchen towel and let rest at room temperature for 1 hour. Preheat oven to 350 degrees F. Line a baking sheet with parchment paper or a silpat mat. Scoop the dough using a large cookie scoop (roughly 3 tablespoons) and place on the baking sheet about 2 inches apart. Bake until golden and edges have just set, roughly 12 minutes. The center will still be soft when done. 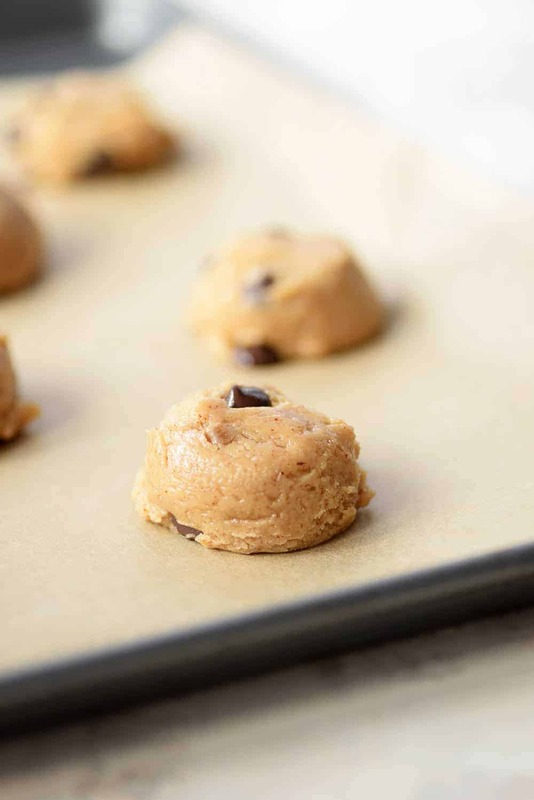 Let cookies cool on the baking sheet, then remove and store in an air-tight container for up to 3 days. Some of the best chocolate chip cookies I’ve eaten- as good as the classic recipe. I followed the recipe but did use Bob’s Red Mill 1+1 gluten free flour since I don’t bake gluten free that often, and didn’t want to get the xanthan gum. These are soooo good. I make these but add half cup 70% dark chocolate chips and half cup of dried cranberries. I’ve made them with both normal sugar and coconut sugar. My daughter has lots of intolerances. Great recipe! Glad you like them! Thanks for letting me know about the adaptions as well! This recipe is a godsend. All the other vegan & gluten-free chocolate chip cookie recipes I’ve tried have turned out way too hard, been way too complicated, had way too much sugar, or just tasted off. These are chewy, easy, fast, and delicious. THANK YOU. 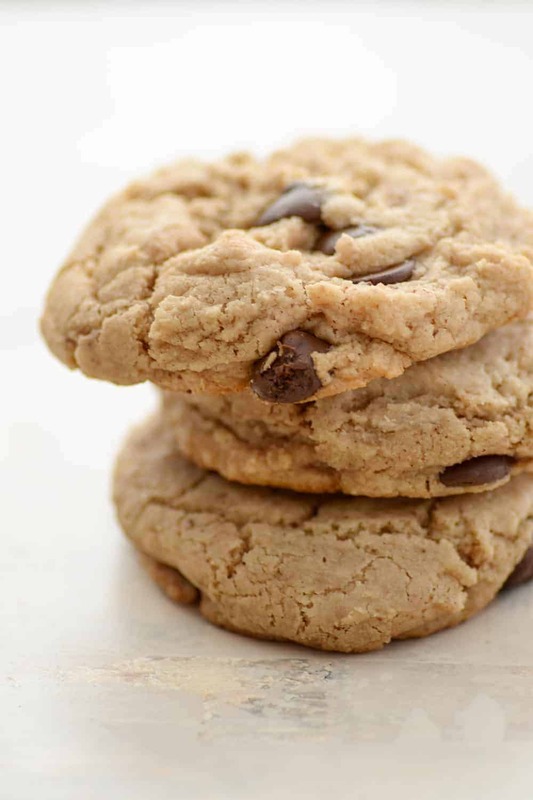 If I wanted a heartier cookie, how would I add oats without compromising the original recipe? I have a question- Can these cookies be frozen after they are baked? I need to make a large amount in advance. Also, I was hoping to make large cookies- like 3″ diameter, how many tablespoons of batter would I need for that? and how long to bake? I don’t think I would freeze the cookies ahead of time, but you could freeze the dough? I do this all the time with cookie dough- just make what you need, individually freeze and then pop out to cook. If you add more batter, then you’ll need to bake them longer, but just take care that they don’t burn. I haven’t made them larger, but it should work. I’d recommend a 3T scoop to start; maybe do a test cookie for baking time.